The inaugural conference, which marks the 25th anniversary of UCLA Luskin, will address major issues facing the region. The aggregate yearly loss to the U.S. economy from the trade war is about $7.8 billion, according to a working paper by a team of economists that includes UCLA professor Pablo Fajgelbaum. The study might actually underestimate the country’s homicide rate because many murders may be unreported or attributed to other causes of death. Middle East expert James Gelvin says that while both presidents wanted to decrease U.S. military presence, Trump’s actions have been more driven by impulse than strategy. The Academy Award-nominated actor appeared with the authors of a new book about the central African nation to mark International Human Rights Day. “Making pre-primary education available at no cost is a critical element in efforts to reduce educational and economic inequalities,” said co-author Alison Earle. Units across campus will host events on global issues, international careers and study abroad. Arcadia, a charitable fund of Lisbet Rausing and Peter Baldwin, gives $5.5 million to support Documenting Global Voices. 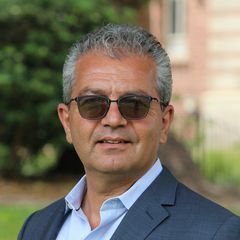 Ali Behdad hopes to lead the center to think about the Middle East in a global context, one that takes into account the region and its many diasporas. California’s economy is expected to continue to grow faster than the U.S. economy, but the report indicates that growth at the state and national levels will be weaker in 2020. Dr. Michael Rodriguez is founding chair of the group that focuses its energies on research, policy and advocacy work, sharing knowledge and promoting policies that encourage political, economic and social equality. 10,000 students will shape themselves into a giant number “100” on the intramural field. Conference held on campus focused on re-framing immigration and migration through the perspectives of the people who are moving and also creating tools for educators. Arcadia Fund grant will help open access to rare manuscripts from St. Catherine’s Monastery. “World on the Horizon: Swahili Arts Across the Indian Ocean,” an exhibition that challenges fixed and familiar notions of places like Africa, opens Oct. 21. UCLA’s Corrina Moucheraud says policymakers should focus on training health workers and ensuring access to essential medicines. Through a partnership, South African doctors shadow UCLA physicians in Los Angeles and then return to their home country to put into practice what they’ve learned. Low-income and minority students are particularly affected, and the problem stands to worsen as global temperatures rise, according to public policy researcher Jisung Park. Scholars offer practical guidance on enlisting, mobilizing and continually engaging like-minded people. Dr. Lee Miller shared the stories that shaped his professional life during a special lecture for the UCLA medical student chapter of the Gold Humanism Honor Society. From new courses and academic programs to fitness classes, bike share and community gardens, the 5-year-old program has reshaped campus. James Gelvin offers five predictions of ways things are likely to get worse for peace in the region. UCLA Library scholars worked with partners at St. Catherine’s Monastery and the Early Manuscripts Electronic Library on the five-year Sinai Palimpsests Project.